750 Watt motor with removable battery. Standard disc brake, Suspension and LED lights. 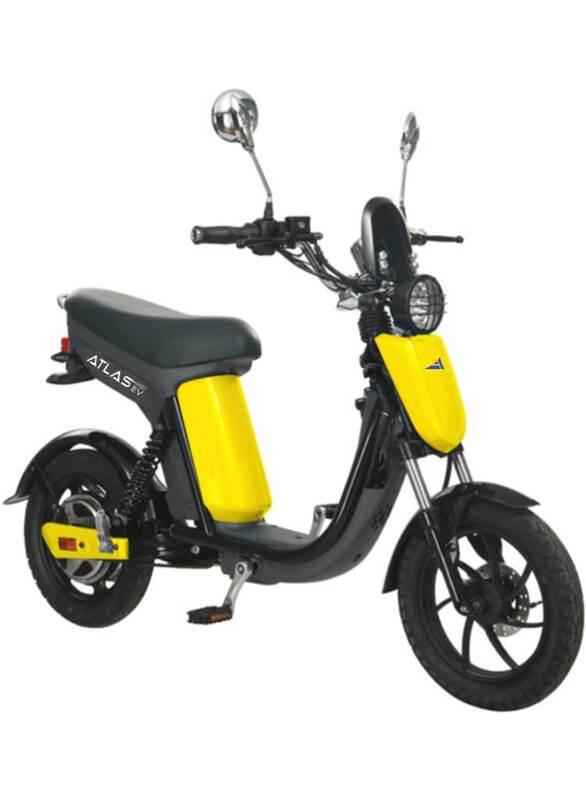 The Atom eMoped has a reliable rear wheel 750 watt brush-less electric motor that will have you riding up to 32 KPH/20 MPH. The Atom is also outfitted with a bike crank system with a small gear ratio for easy pedaling, should you wish to ride in crowded conditions or assist with a longer range when needed. Not that you’ll run out of a charge any time soon. 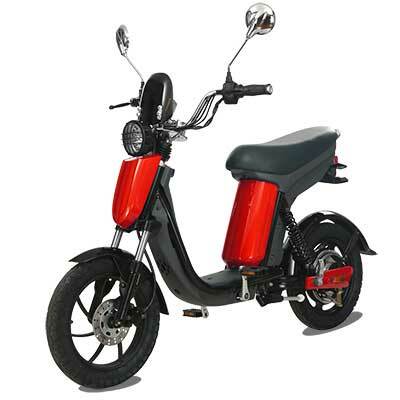 This bike’s equipped with a Removable 48 Volt 14AH Sealed Silicon Battery that lasts for around 50 km/35 miles (over an hour of ride time), perfect for all you riders commuting to work or school. 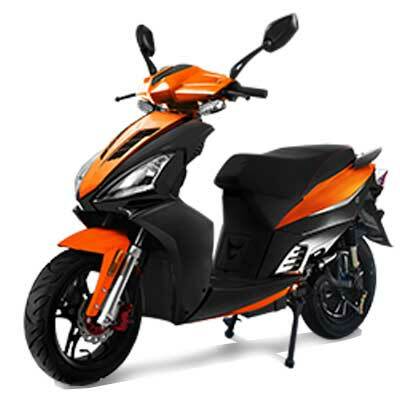 The charge time on this bike is 1 hour to approx 80% capacity and 4-8 hours to full charge. Powerful, bright LED’s allow your bike, turn signal, and head light to be seen from far away during the day and at night. Included as standard is clearance lights for extra protection. 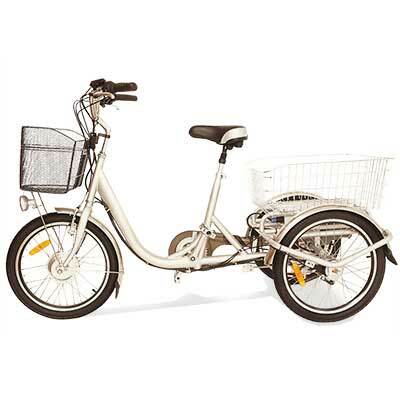 Built for Comfort with full front and rear suspension, comfortable seat and step through frame for easy mounting. Safety is paramount and built into the bike. With wider tires ensure you have a good grip with the road. Hydraulic front disc brake, also high capacity rear drum brakes, that will have you stopping quicker when you really need it. Two horn buttons, high and low beam LED headlight for emergency and indicators will ensure you can signal your intent when riding.